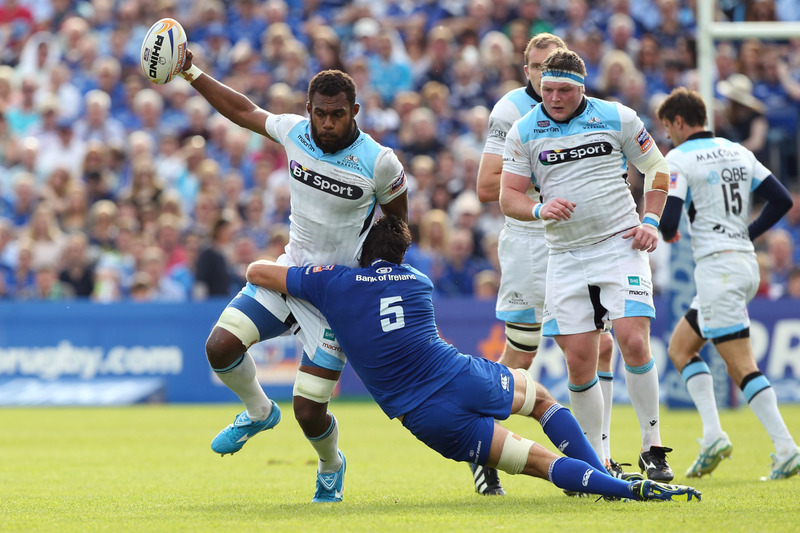 European Champions cup: Can rugby statistics pick a winner? 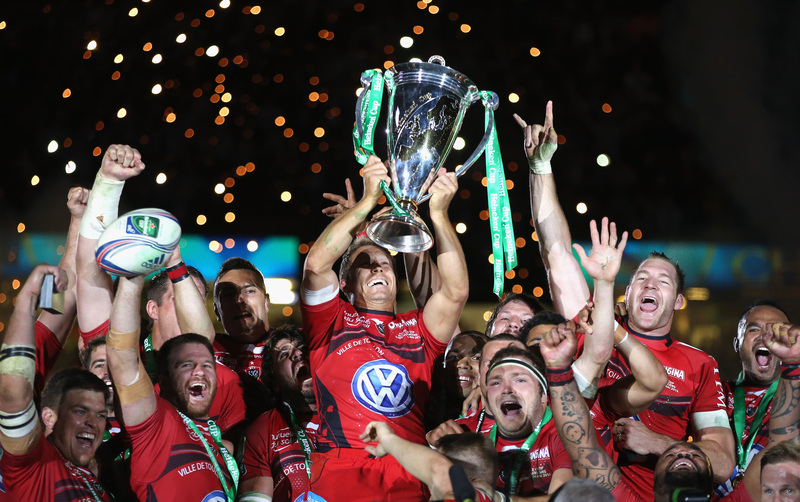 Rugby statistics: can trends identify the first European Champions Cup winner? Front and centre: Could one of these fellas be lifting the European Champions Cup come May? The Heineken Cup is no more, has ceased to be, is an ex-tournament. Instead we enter the new era of the European Champions Cup…with a founding sponsorship partner of Heineken. Attention can now be drawn away from talk of off-field matters such as increased broadcasting revenue and focussed on the rugby. The format is relatively unchanged, so a look at the trends from previous seasons may prove useful in identifying a potential champion for this year. The familiar system of teams playing their pool rivals home and away, was first used in 1997-98. It seems fair to start from that tournament, with a reminder that the bonus point system (2003-04) and change to the ranking of the pools (2008-09), appeared later. An obvious point maybe, but previous winners have tended to be in good form in their domestic competitions too. The average league finishing place of a victorious side, the season before they won the Heineken Cup is second. There are exceptions, (Wasps fourth in 2005-6, Munster sixth in 2006-7) but the majority have been top two. That average league finishing place does drop to third for the season the team wins the tournament, perhaps showing the difficulty of competing on several fronts. While Toulon, Leinster and Leicester Tigers managed consecutive trophies, a successful campaign the year before wasn’t always necessary. In eight of the 17 seasons in this period, the winner had failed to make the quarter-final stage the previous year. 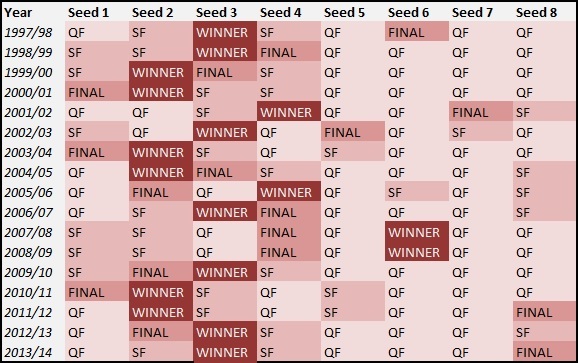 As each opponent is played twice in the pool stage, it may be thought that it doesn’t really matter in what order the games occur. However, looking at the fixtures sets for successful teams below, it can be seen that a preferred sequence of games seems to be home, away, away, home, home and away. A good start is clearly important and 88% of the previous champions in this period have won or drawn (Ulster in 1998-99, Leinster 2011-12) in the first round. As with the form trend, Munster again prove to be an exception, having lost away in the opening round both seasons that they lifted the cup. It is rare for a team to even reach the knockout stage after losing in the first round, with just 19% of previous quarter-finalists dropping a round one game. That is reduced to 2% if the round one defeat occurred at home. 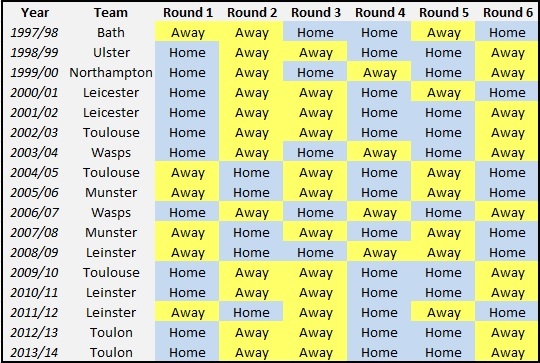 When a specific opponent is played can also be crucial, as an example Castres have an 80% home win rate from rounds one to four and 30% for rounds five and six. Making the trip to the Stade Pierre-Antoine as late as possible is a benefit, when the hosts’ interest levels may have turned back to the Top 14. Toulouse won all their matches (four) in the first ever tournament and Brive repeated that feat the following year (seven games). But no side has managed it in the longer format. From 1997-8 onwards, there have been eleven teams that won all their pool matches. Of those teams, six then lost the subsequent quarter-final, three exited at the semi-final and the other two were beaten finalists. On paper, it would seem a rank of first seed would be preferable heading into the quarter-finals. Since 1998-99 that has secured a home match against the eighth seed or supposedly weakest of the remaining opponents. Playing at home is an accepted advantage and there is a 75% success rate for the hosts at this stage. It is surprising then that the top seed has failed to win the competition in the last 17 years. Taking that further, eight of the 17 home defeats at the quarter-stage involved the first seed. Between them, the second and third seeds account for 13 previous winners since 1997-8, while first seed has only reached the three finals. 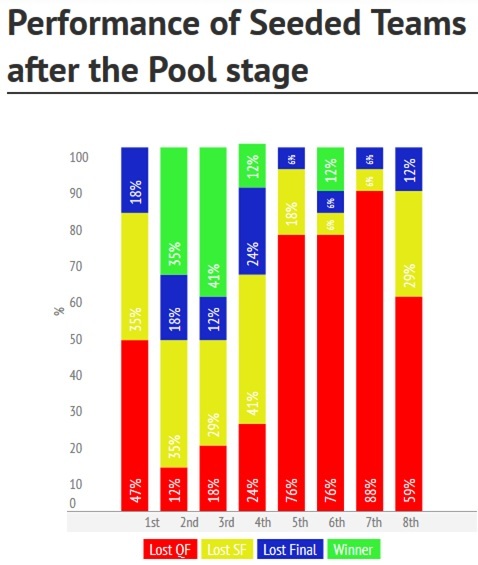 At the semi-final stage, the home win rate drops from 75% down to 59%. That can be explained by strength of opposition, ‘home’ actually being a neutral venue and the teams being drawn randomly instead of by rank. A higher seed travelled in 12 of 34 semi-finals since 1997-8. It is also the case that in six of the previous seven years, there has been an ‘upset’ in the final – with the lower ranked side winning. Warriors, come out to play? Applying the criteria of a top two team from last season and a fixture order in the pool stage of home, away, away, home, home and away produces a list of four teams. Toulon, Leinster and Saracens are among the European Champions Cup favourites and would have been popular picks anyway, but as an outside bet, the fourth side Glasgow Warriors are worth considering. Gregor Townsend’s side will likely avoid the ‘curse’ of being top seed but have won 80% of their league matches since the start of last season. With improved squad depth and confidence, they look ready to carry that form into European competition. Visit po.st/RWSub for all the latest Rugby World subscription deals, or find out how to download the digital edition of the magazine at po.st/RWDig.